QPR: Lumley, Furlong, Bidwell, Hall, Freeman, Cousins, Eze, Luongo, Wszolek, Wells, Leistner. Subs: Ingram, Scowen, Manning, Hemed, Smith, Osayi-Samuel, Lynch. Leeds: Casilla, Ayling, Cooper, Jansson, Alioski, Phillips, Klich, Harrison, Bamford, Hernandez. Subs: Peacock-Farrell, Douglas, Dallas, Berardi, Brown, Shackleton, Gotts. 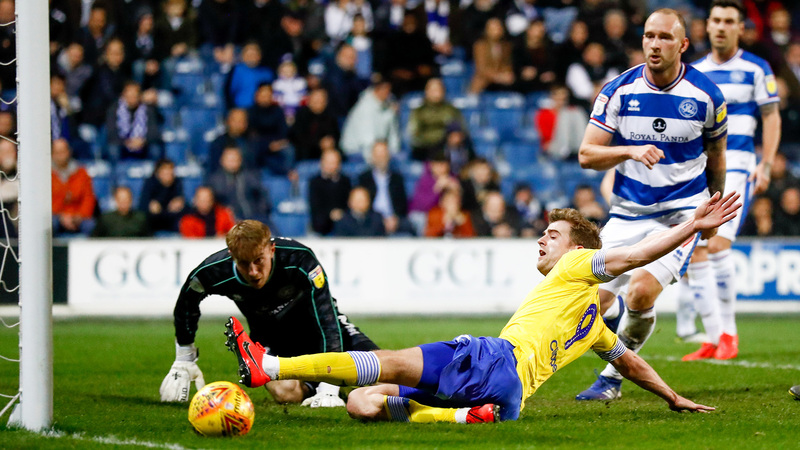 Leeds United missed the chance to move back to the top of the Sky Bet Championship table, after suffering a 1-0 defeat against Queens Park Rangers at Loftus Road. Leeds had an early chance inside a minute, Tyler Roberts and Patrick Bamford helped rip open the Queens Park Rangers defence and Pablo Hernandez fired just wide. 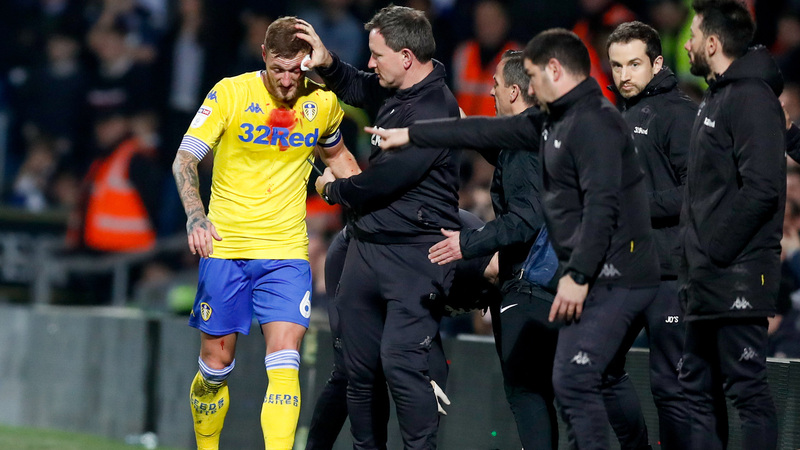 In the 13th minute Leeds felt they should have had a penalty, when a Bamford strike appeared to be blocked by the arms of Toni Leistner, but the referee waved away the protests. Moments later following an Ezgjan Alioski corner, Kalvin Phillips so nearly gave Leeds the lead, his bullet header at the near post was denied by a fine save from Joe Lumley. From the resulting corner, Alioski played the ball in low and Phillips had another chance, but he scuffed his shot on goal. Luke Ayling then put in a good cross from the right flank which was met by a Bamford volley, but he couldn’t keep his effort down. In the 33rd minute the Whites were inches away from going in front, when Hernandez fired a powerful ball across the face of goal, but Bamford at full stretch just couldn’t get there. Leeds were reduced to 10 men after a head injury was suffered by Liam Cooper and Massimo Luongo fired an effort well wide for the home side who rarely threatened in the first half, with the two sides going in level. Leeds made the worst possible start to the second half, as QPR took the lead. Luongo did well down the right and got a low cross away, which was converted by Luke Freeman from close range. The hosts had another opportunity when a Jake Bidwell cross was met by Luongo, forcing Kiko Casilla into a decent stop. Goalscorer Freeman then drove into the Leeds box, before finding Nahki Wells and Casilla made a superb save to deny him. Liam Cooper headed wide from a Leeds corner, before Luongo fired a fierce volley over the bar, when a set-piece fell to him on the edge of the box. Alioski almost found the net in similar style to his effort against Bolton Wanderers last weekend, when his cross headed towards goal, but Lumley made a good stop. The Whites had a great chance to level the scores in the 76th minute when Hernandez found Leeds substitute Barry Douglas in space in the Queens Park Rangers box, but he put his strike over the crossbar. Three minutes later, fellow substitute Stuart Dallas played one-two after one-two before breaking into the Queens Park Rangers box superbly. He couldn’t get the better of Lumley in the QPR goal though and Bamford was then twice denied by the stopper, with the ball somehow staying out. Izzy Brown was handed a debut late on and Bright Osayi-Samuel forced a good save from Casilla, before Leeds threw the kitchen sink at QPR, but to no avail as the hosts held on for a first league victory in 2019.